I picked this up because I heard the author being interviewed on a podcast and I'm interested in US energy independence, which would be globally transformative. The book is a history of how independent companies in the US developed and commercialised hydraulic fracturing (fracking) to extract natural gas and oil from rock and in particular shale. The narrative is driven by colourful larger-than-life characters. This is compelling but unsurprising (a quiet and reserved oilman with a passion for the poetry of George Herbert - now that would be truly fascinating...). In fact the mechanics of fracking and the development of the process is interesting enough that I thought that the focus on the founders was not necessary. 1 A uniquely American approach to oil exploration and extraction. What's remarkable to this European reader is how little state intervention there appears to be in these new mining techniques. The book makes the point several times that in the USA, citizens own the mining rights associated with their land and have the liberty to do what they want with it, including leasing it to mining companies. At a broader level, I am increasingly drawn to the argument that the absence of excessive governmental regulation is a fundamental driver of economic development. 2 The importance of real estate acquisition in driving value at publicly-traded fracking firms. 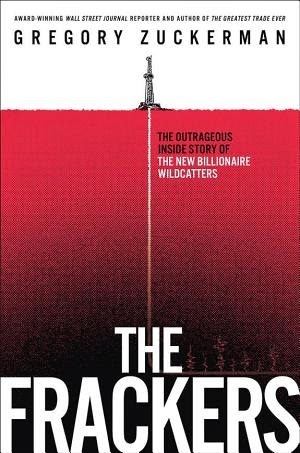 Some of the companies profiled in the book (notably Chesapeake Energy) borrow billions in order to acquire hundreds of thousands of square miles of land. The present value is all about anticipated revenue streams, so it is not necessary to actually work the plots to push up the share price. This almost suggests to me that Chesapeake could do as well as a pure real estate company. As a counter to this, the way that the market has developed is that leasing is on a 'use it or lose it' basis - i.e. the company needs to start drilling within a certain time period or loses the concession. This leads to a weird data point - Mark Rowland of Chesapeake states in 2010 when gas prices are low and that "at least half and probably two-thirds or three quarters of our gas drilling is what I would call involuntary". 3 The sensitivity of the industry (particularly the publicly-traded companies) to the market price of energy. It's an obvious point but extracting each unit of gas or oil from a particular field carries a cost (e.g. a cost per barrel in the case of oil). So mining in that area will only be profitable so long as the market price of the energy allows for a profit. What the book makes clear is that the market price changes rapidly, but that tooling up mines to commence extraction takes a lot longer. This is why companies have to landbank. Externally-driven volatility also means that the difference in value of these companies (and therefore their perceived health) will fluctuate wildly without necessarily reflecting the underlying value of the business. I think there is a deeper point here that I have yet to work out. 4 Co-investment by founders. I had not realized that it used to be market for founders to purchase individual stakes in wells alongside their companies (even after they went public), and to take a personal share of the profits on each. The argument in favour of this sort of arrangement is that co-investing by management aligns their interest with the investors. I would counter this as follows: (i) this is only the case if management are obliged to participate in every deal (and is arguably the reverse if they are allowed to cherry-pick deals); and (ii) in the case of Aubrey McClendon of Chesapeake, his investments were funded by an ad hoc $75 million bonus paid by the company, and by private loans provided by Chesapeake's lenders. Which at the least is a conflict of interests and at the most seems a little like the casino giving a gambler his stake and allowing him to keep the winnings. This sort of private co-investment right that I used to see private equity general partners (the fund managers) try to negotiate into their partnership agreements and I always thought it strange; it seems even more so when dealing with public companies with retail investors. This is a really interesting book which ends with a brief discussion of the global consequences of an energy-independent USA. The author makes the point that increased use of natural gas derived from fracking has led to a diminishing use of dirty coal in the USA, although I probably need to read something from the environmentalist perspective to get a balancing view on the beneficial impact of fracking. I appreciate that there are many opposing views.